Growing up, Chantal Phillips was not sure whether medical school was for her. It wasn’t because she wasn’t interested, but because she couldn’t see anyone like herself practising medicine. 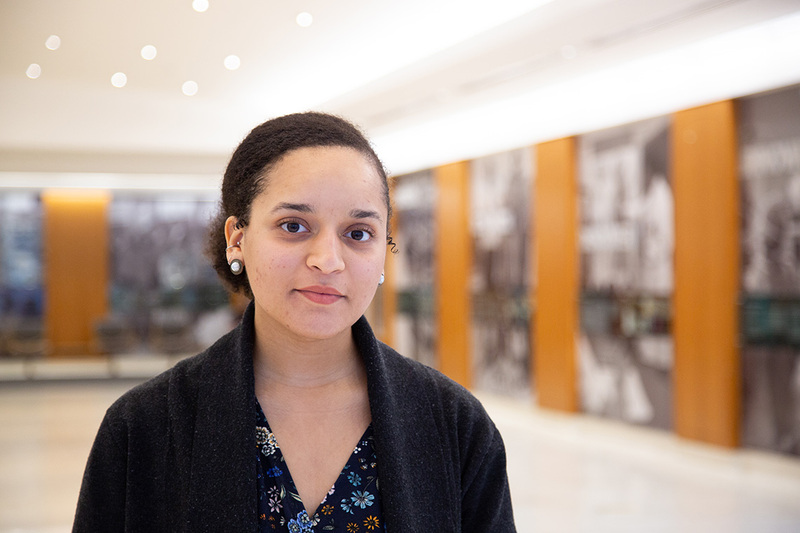 Now in her first year of the MD program at the University of Toronto, she reflected on how race and poverty made medical school seem unattainable at a recent public consultation session on the Black Student Application Program (BSAP). The program launched in early 2017 and welcomed its first cohort this fall. The public session was an opportunity to report back to the community about the success of BSAP’s first admissions cycle. “We’re here to talk about a program that we’re very proud of,” said Professor Patricia Houston, vice-dean of the MD program in the Faculty of Medicine. In BSAP’s first year, 14 students were admitted to the MD program through that pathway. At the time BSAP launched, just one student in the first year class was Black. In previous years, generally fewer than five per cent of MD students identified as Black. “We’re passionate about creating a great opportunity, not just for those admitted through BSAP, but for all of our students who will benefit from more diverse colleagues,” said Houston. Professor David Latter, director of MD admissions and student finances, stressed that the increase in Black MD students was not the result of any quota. BSAP applicants still have to meet the same rigorous admission standards as all other applicants. “I think one of the reasons we saw this increase is because U of T is being seen opening our doors and showing that we’re serious in our commitment to welcome more Black students into our program,” said Latter. Students who apply through BSAP, in addition to meeting the standard admission requirements, are required to write an additional 250-word personal essay. As part of the admissions process, members of the Black community – as well as Black physicians, faculty members, and students – take part in admissions file reviews and admission interviews. “You’ll see applicants who are doing great things, but they’re not working a part-time job or babysitting their brothers and sisters. Having an appreciation for those other commitments is an important lens too when you’re trying to identify people who make great doctors,” said Garwe. BSAP is only one of the initiatives intended to diversify U of T’s MD program, which is based on a similar program aimed at Indigenous students. In 2015, U of T established Community of Support to enable students who are Indigenous, Black, Filipino, economically disadvantaged or who self-identify with having a disability, at every stage of their journey to medical school. This includes admissions advising, mentoring and support through the application process, including MCAT and interview preparation. Under the leadership of Ike Okafor, the MD program’s senior officer, service learning, the program has spread to other medical schools across Canada. And, for nearly 25 years, the Faculty of Medicine has hosted the summer mentorship program, which gives high school students of Indigenous or African ancestry a chance to explore health sciences at the university over four weeks in July. More than 800 students have participated in the program since it was established. While it’s important to open up new pathways to medical schools, said Dr. Onye Nnorom, Black health lead of the MD program, it’s also important to provide a culturally safe and supportive space for Black students when they arrive. In partnership with the Black Physicians’ Association of Ontario, Nnorom has been working with Dr. Renée Beach to establish a mentorship program for Black MD students. She has also incorporated more information about cultural safety and population-specific health needs into the MD curriculum. “We want to ensure our students feel safe and secure so they can focus on their studies and do what they need to do to succeed,” said Nnorom. That work is appreciated by Phillips, who admits to having a sense of “imposter syndrome” as a new medical student.